Sonic the Hedgehog put stars in the eyes of Sega when he first spin dashed onto the scene in 1991. Only a few years later, those stars had turned to dollar signs when Sega started using his image to sell bad game after bad game. There are over fifty released games in the Sonic franchise. Many classic gaming fans will tell you that only three are worth playing. Do the math and you will find that this is a failing grade. Sega’s lack of direction with the Sonic franchise hasn’t helped, either. On several occasions, the gaming giant released Sonic games seemingly in competition with each other (see Sonic 2 vs. Sonic CD; Sonic 4 vs. Sonic Colors). 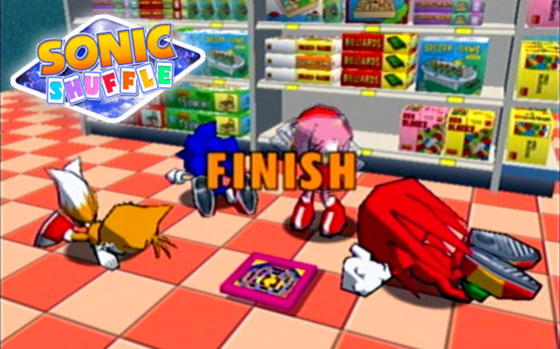 Here’s a look at a handful of games from the world of Sonic that we’d like to forget. The key to a good game is not to use a cliché key-finding gimmick. What do you get when you cross Marble Madness with Kirby’s Dream Course? 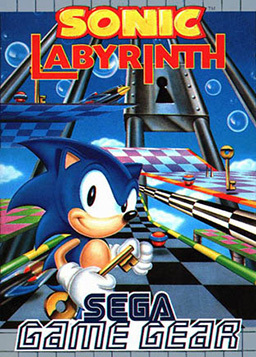 Sonic Labyrinth! This Game Gear sleeper features awkward 3D game play, horrible controls, and lack of plot. The challenge for each level is to grab a set of keys to unlock the goal. The badniks and bosses don’t resemble anything from other Sonic games. Playing Sonic Labyrinth, one can’t help but wonder if this is another case like Doki Doki Panic/Super Mario Bros. 2. 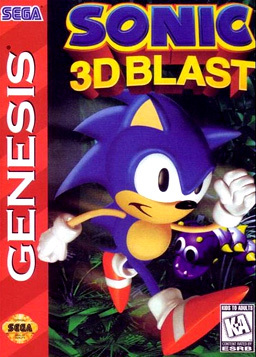 The game looks like a precursor to the horror show that is Sonic 3D Blast. Naming this title after the worst level in the first Sonic the Hedgehog game was a clever way to subtly warn fans of its lousiness. Who are you and what have you done with Sonic? If you’ve ever been tempted to buy a 32X just to play Knuckles’ Chaotix, let me assure you that this is a bad idea. I emptied the piggy bank one summer to do just that and have never forgiven myself. The box art for this game looked so promising and the pictures on the back made it look like a follow up to Sonic the Hedgehog 3. Unfortunately, you know something is horribly wrong the moment the game starts. It begins with a training stage that offers very little advice on how to control the gimmick of two players being connected by power rings. 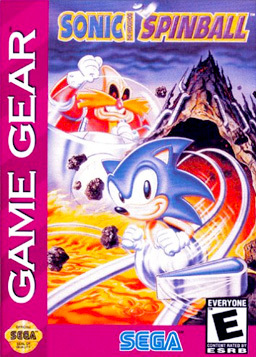 This is the game that started adding friends to the Sonic universe. We have Mighty the Armadillo, Vector the Crocodile, Espio the Chameleon, and Charmy Bee. The odd thing is that some of these obscure characters would resurface years later in another disappointing game, Sonic Heroes. The controls are awful, the level design is nothing spectacular, and the game play makes you want to throw the controller after only a few minutes. 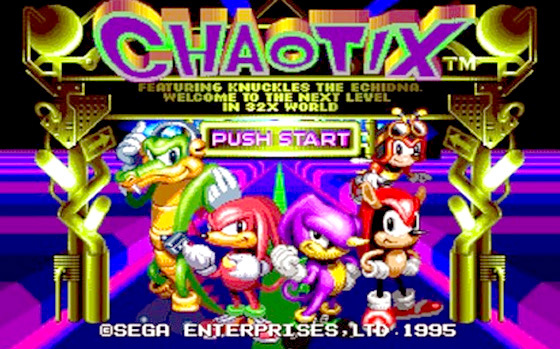 Interestingly enough, the title screen refers to the game simply as Chaotix. Is that Robotnik art lifted from the cartoon series? I’ll admit that Sonic Spinball is actually a pretty cool concept. Sonic curls up into a ball and becomes a willing participant in some sort of freaky pinball… castle… maze… thing. Unfortunately, the game was a total rush release. Employees worked around the clock just to get this one out to cover a missed deadline from the Sonic the Hedgehog 3 team. In a clever move, this game had a tie-in with Life Savers candy (they’re rings, get it? ), but even such a tie-in couldn’t save this game for the life of Sega. 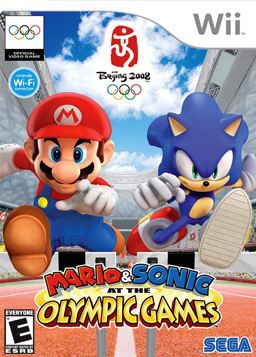 At long last, Mario and Sonic in a game together! It’s like the great Han Solo vs. Captain Kirk or Superman vs. Spider-Man debate finally put into action! Well, not really. Nearly every stage involves the same wiggle motion with the controllers and there’s one other serious flaw: it’s not fun. This has to be one of the most boring bestsellers in the history of video games. I’d rather play Waterworld for Virtual Boy before giving this one another try. Even the Sonic crew snoozed through this one. By this point, Sega was getting pretty desperate. The end of the company’s console days were near and they were grasping at straws by releasing this Mario Party knock-off. It’s a non-stop thrill ride of mini-games and prizes that feel more like punishment. For instance, players can unlock a few mystery characters. Hmm… Super Sonic? Okay, that’s pretty cool. Chao? Eh, why not? E-102 Gamma? What the… Big the Cat? Dammit! This game is not fun: avoid it like the train wreck that it is. 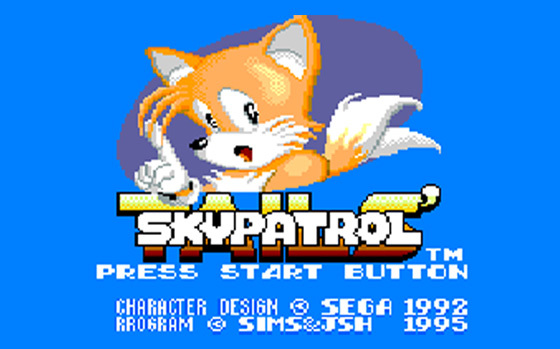 Tails’ Skypatrol was released only a week after Knuckles’ Chaotix and it shows. Not only is the name of the game similar, but Tails carries a power ring around all the time for no given purpose. Actually, come to think of it, it may be because it’s the last ring in the universe since there are no others around. We always assumed Tails was a wimp, but at least gave him credit for being able to touch objects (such as the ground) without dying. This game proves we assumed too much of him. Dear Sega, please invent a time machine attachment for Genesis/Sega CD/32X and prevent this game from ever happening. This is where Sonic got his green-eyed makeover, starting endless nerd fights. 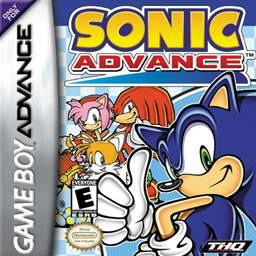 December 20, 2001 was a sad day for fans, as Sonic Advance marked the first release on a non-Sega console. With the recent failure of the Dreamcast, it was announced that the titular blue insectivore would be hopping over to Nintendo. Every kid who had to argue that their Genesis was better than Super Nintendo had suddenly lost the battle. So much for “Sega does what Nintendon’t”. The game itself is pretty average, offering very forgettable game play. Shadow’s appearance was apparently such a hit in Sonic Adventure 2 that he was given his own game. I’ve never played this one, but I don’t have to. It’s essentially an alternate-reality Sonic with a gun. There are some games so bad that you just want to forget they exist without ever wasting precious time playing them. 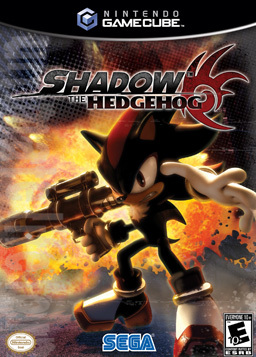 Shadow the Hedgehog is one such game. Sega Rep: Are you ready for a new Sonic game? Sega Rep: In which the focus is on speed? 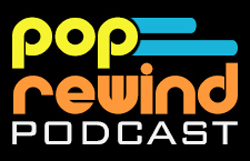 Sega Rep: In which Sonic returns to his roots? Sega Rep: With levels that feature loops! Sega Rep: And Sonic turns into a werewolf!! Audience: Awesome — wait, what? 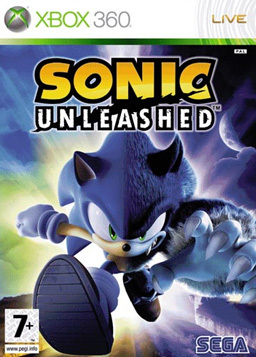 Sonic Unleashed is the Howard Dean scream of Sonic concepts. The idea clearly started with good intentions and went horribly, horribly wrong. Play this game on mute or, even better, not at all. The box art alone for this game is kind of baffling in that Sonic is wearing a power ring. Did he shrink a ring or did he get bigger? 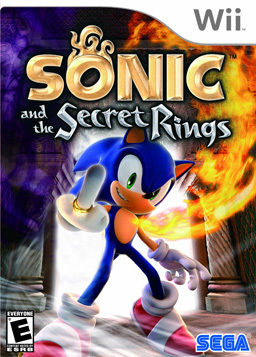 The ring is on his middle finger, as if Sega were flipping the bird to all the suckers that bought this flop of a game. It’s unclear what they were going for with Sonic and the Secret Rings. The setting is ancient ruins, but the music is really awful heavy metal. The music alone makes the game unbearable and doesn’t fit the setting at all. There’s also no real exploration factor to the levels. You can only go one direction and most stages only last about a minute. Was this just leftover mini-games from Sonic Shuffle repackaged as a new Sonic game? This was the first Sonic release for Wii, so fans who expected a great game were once again duped. There’s a reason you see this one in the discount bins. Fans had the same vacant reaction to playing this game. This is where it all went downhill. Until this point, (most) Sonic games had been fun and well-designed. Sonic 3D Blast was neither. When it became apparent to Sega that (the still unreleased) Sonic X-Treme would not be ready for the holiday deadline, this game was slapped together and shipped out as the next great game in the franchise. What resulted were mediocre level designs, impossible controls, and endless frustration from players. Sonic 3D Blast is the game that killed Sonic the Hedgehog… or stunted his growth, at least. Did we miss some of your favorite bad Sonic games? Tell us about it in the comments below! But Sonic Shuffle is great, and way better than the Mario Party games. Furthermore, Sonic Jam for the game.com and Sonic Pocket Adventure for Neogeo Pocket Colour both predate Sonic Advance (which is also pretty good, though obviously not a classic).